For some years we aggressively published and distributed books through CCW. We were thrilled to find that these works proved to be a help to so many, several items being disseminated in multiple tens of thousands of copies and one item, Wasted Faith, reaching around a quarter of a million. These books continue to play a role in evangelism and spiritual growth for many. Here’s how it began. 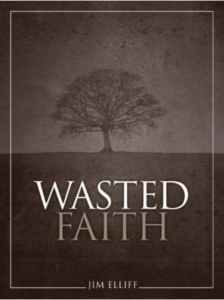 You might say I wrote Wasted Faith under duress. Not exactly duress, but I wrote it because Pam pushed me on to do it. She had been hearing me talk of some ideas she felt I needed to make more public, so she continually pointed me to the little closet study until it was written. She worked with me over the chapters with care until we finally went to the printer with it. It wasn’t very pretty at first. In fact, it had a solid chocolate brown cover that rubbed off in your hands. One lady I knew read it so many times that the brown was completely rubbed off. But, in the process, she arrived at assurance with Christ. It wasn’t perfect. After distributing several thousand copies, I ran across an English teacher who asked me after I had spoken, “Don’t you mean ‘billowy clouds’ and not ‘bilious clouds?’ ‘Bilious’ has to do with bile.” Not a cool mistake. Some of you may still have the old bile version—a rare treasure. Our small staff packed up and mailed all those booklets from our packing room, first in Little Rock, and then in Kansas City, Missouri. In the earliest days, we actually scoured the neighborhood for boxes to mail our items. I packed the books myself before I had my first assistant. I’ll never forget what a great day it was when an office telephone installer gave us hundreds of boxes that telephones had been in. We were so ecstatic that we curtailed our dumpster diving and grocery store raids for a while. We stacked those boxes outside on the porch of the house we used as our office. But they were soon gone as more thousands of copies of our items went out. We wheeled our boxes on a dolly from our office across the street to the post office, rain or shine. Then things changed. A few years ago, we felt strongly that it was time to slow down on this emphasis and turn the packing over to someone else. We wanted and still want to encourage people to get into the Bible, so our efforts were strengthened in that direction. It’s still so. The writing and distributing of books was such a demanding part of our work, pressing in on that important calling. So, we turned the distribution over to another fine ministry, Granted Ministries. They have been doing this important work for us since that time. They have great discounts and I know that many of you have ordered from them. You can also find most items on Amazon, on Kindle or hard copy. See a complete display of all our current books here. Recently we’ve revived our interest in writing useful bound material, but in a slightly different way. We’re starting out with a book that we plan to call Surplus, by Bryan Elliff. We hope to put it out for you in the summer. 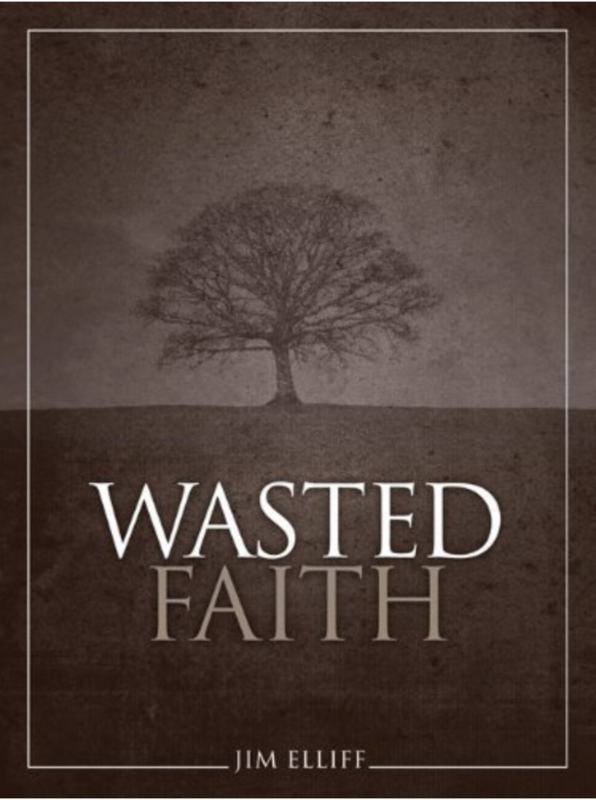 It is a serious study of 2 Corinthians 8-9 on the biblical use of the believer’s financial abundance, with helpful background information and a convicting style. We are hopeful of producing several in this series that will serve as stand-alone books you will want to share, but also as tools for mentoring and small groups to engage in inductive study first with the Bible text, before reading the corresponding chapters. It will be a unique approach for those willing to try it. It keeps our emphasis on the Bible. We think the benefits could be substantial. These days, we are able to print through a process called “print on demand” used by many publishers, meaning that fulfillment can be made directly by Amazon for the books we produce. For those of you using Granted Ministries, we’ll invite them to also carry these books as they are produced, if that works well for them. Our publishing will be considerably helped by the intense Bible study work we’ve been doing over the years since last publishing books. We feel ready to share those passages that have shaped our thinking and made a powerful impact already on so many. With the help of those who’ve participated in our studies, we’ve worked through many of the interpretive problems. Please pray with us and help us distribute these. Be watching for the first one in the next couple of months or so. Find your gospel zone. That is, find a regular place or group you will visit for the purpose of evangelism. This doesn’t mean that other places or groups are off limits. Make it center around something you’re interested in for other reasons also. For instance, you may like coffee shops, or Harley’s or classes at the local community college—find something that engages you. But above all this, make it your aim to engage in conversation for the gospel as the doors open. Pray more. Pray about those encounters. Almost without exception, if you ask God for opportunities in the day, he will bring them. I’ve seen this come about many times. Ask more questions. Jesus did this a lot. Questions help the unbeliever probe his or her premises. Listen better. Don’t be a “motor mouth,” but listen carefully so that your comments correspond to the perceived needs. Record names. Write down the names of the people you are meeting in your cell phone or notebook. This will help you to pray and remember the next time you meet them. This is especially helpful for the regulars and the workers. God ALWAYS condescends to our weakness, even for veteran evangelists. Regardless of our inadequacies, God will use us if we are available.